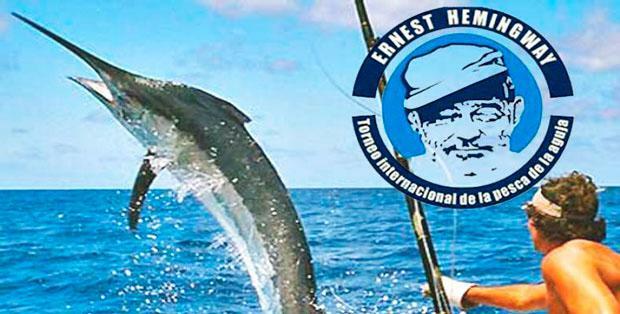 Beginning May 29 and running through June 3, Cuban waters are the scene for some 450 competitors to enjoy sport fishing, during the 67th edition of the Ernest Hemingway International Billfishing Tournament, with the second largest participation of the last ten years. The event, first held in 1950, has attracted more than 50 teams from 13 countries, including Puerto Rico, Britain, Canada, France, Mexico, South Korea, Lithuania, Cuba, and notably the United States – with 28 boats. The competition involves billfish species – like marlin, tuna, and wahoo – and promotes their conservation, abiding by the International Game Fishing Federation’s rules, using a tag and release method to accumulate points. Venezuela, Uruguay Most Equal Latin American Countries: CEPAL. The foreign minister of Venezuela, Delcy Rodriguez, called out the five most unequal countries for being the same ones that have attacked Venezuela through the OAS. According to data from a new report, as of 2015 Venezuela and Uruguay have the most equal wealth distribution in Latin America, while Colombia and Guatemala are the most unequal Latin American nations. The report was published by the Economic Commission for Latin America and the Caribbean (CEPAL), which is a United Nations regional commission headquartered in Santiago, Chile. The report’s data indicates that on the Gini coefficient, Venezuela and Uruguay have the most equal wealth distributions in Latin America, each having coefficients of 0.40 or less, compared to the continent’s average of 0.469. Conversely, the five nations with the highest levels of inequality in Latin America are Colombia, Guatemala, Brazil, Panama, and Mexico, each with a Gini coefficient greater than 0.50. Women, Afro-Latinos Face Most Latin America Inequality: CEPAL. La organización regional instó a los países a mantener presupuestos para el gasto social para los próximos años con el fin de abordar adecuadamente el problema de la desigualdad en la región. Las mujeres siguen teniendo los trabajos peor remunerados, mientras trabajan más horas que los hombres, según el informe anual sobre las desigualdades publicado el lunes por la Comisión Económica para América Latina y el Caribe. Las mujeres dedican hasta un tercio de su tiempo al trabajo doméstico y el cuidado de salud en el hogar no remunerado, frente a sólo el 10 por ciento para los hombres, y este trabajo no remunerado representa una gran parte del producto total del país bruto económico – alrededor de un quinto, el Panorama Social 2016 dijo el informe. Las personas de ascendencia africana que viven en América Latina también tienen los trabajos peor pagados y tienen la mayor tasa de desempleo, según el documento, mientras que sufren de niveles más altos de mortalidad infantil y materna y el embarazo adolescente. Opposition Condemns Goldman Sachs Purchase of Venezuelan Bonds. “Goldman Sachs has made an immoral agreement that makes them complicit in the violation of human rights in Venezuela,” President of the Opposition controlled Venezuelan National Assembly, Julio Borges, said Tuesday on his Twitter account. 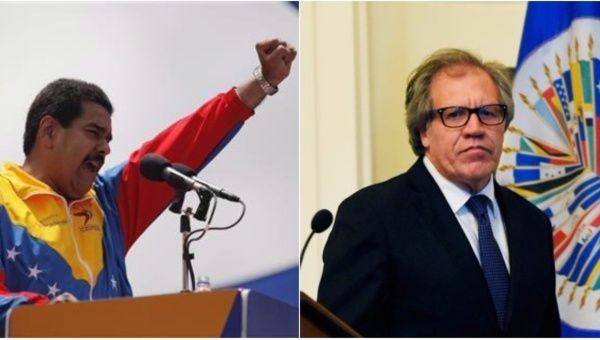 D-Day on Venezuela in Washington on at the OAS – for Whom Will the Bells Toll? This week will soon be a memorable ‘week that was’ in Caribbean and South American history. It’s difficult to say ahead what it will be remembered for. But come this coming Wednesday, May 31, governments of the smaller independent nations in the two neighboring regions will show the world whether they have nurtured the ability to reject external pressures to support larger nations pursuing their own selfish political ambitions in their continental and island space. The upcoming May 31 meeting of the Permanent Council of the Organization of American States (OAS) is not without controversy, having been convened through suspicious circumstances – some of which violate the OAS’ own statutes governing summoning of meetings, as well as its ‘Democratic Charter’ relating to external intervention in the internal affairs of member-states of such regional and international bodies. It is also a bit of history in replay, this time through a slow-motion coup against Venezuela – a small nation that is both Caribbean and South American and a stalwart state promoting political and economic integration to lessen the region’s historic and still growing dependence on North America and the European Union (EU). 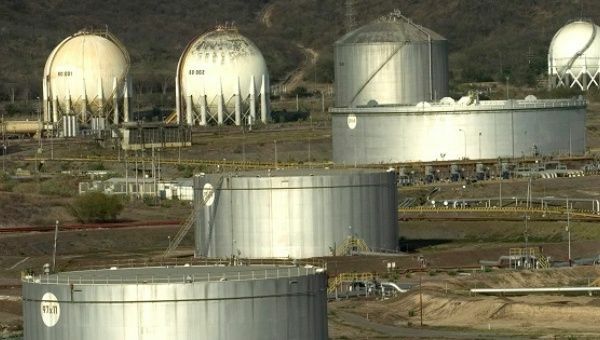 Venezuela has for over a decade been advocating and charting the way, along with Cuba, for the transformation of the petroleum-based PetroCaribe initiative into a new regional political and economic pact that will lead to a Caribbean and South American Economic Zone based on pooling of resources and skills in the common interests of member-nations. For just as long, Washington has been seeking ways and means to reverse the political tide in Caracas – and it now feels certain it can put gears in motion to achieve that intention. More than five decades after South American nations approved the expulsion of Cuba from the and over three decades after the Caribbean provided cover for U.S. military intervention in Grenada, today’s governments are being courted, at the OAS again, to bless another US-led intervention in their region, this time in Venezuela. As with Cuba following its 1959 Revolution and Grenada after its 1979 Revolution, Washington has already used its powerful regional influences to divide governments in pursuit of its political objectives in a region it still considers ‘America’s backyard’. Cuba was expelled from the OAS in 1961 and has refused to return, even if invited, for as long as the OAS continues to be regarded by Havana as the ‘U.S. Ministry of Colonies in the Americas’. South African Officials in Venezuela to Concretize Joint Ventures. Venezuela is looking to diversify its economy in order to continue its support for crucial social programs. Authorities from Venezuela met with a South African delegation Monday in Caracas to discuss possible joint ventures in mining, tourism, education and drug production. 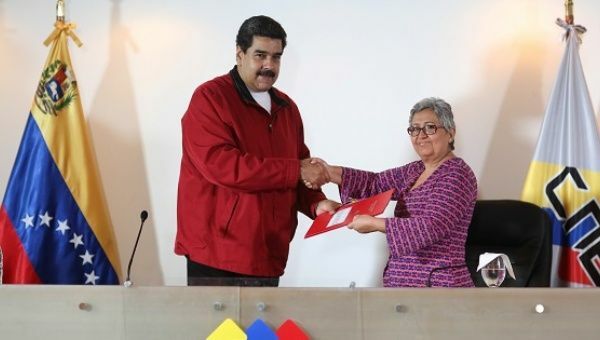 “We hope that with the visit of the South African delegation and businesses, we can agree to a joint venture under the terms established by Venezuelan law as soon as possible,” said Arreaza. Venezuela Election Authority Details Constituent Assembly Nominations Process. Venezuelans hoping to become representatives in the national Constituent Assembly can now register, while nominations of candidates have been scheduled to take place between June 6 and 10, electoral authorities announced Tuesday. Venezuela’s Constituent Assembly: What will it look like? Tibisay Lucena, director of the National Electoral Council of Venezuela, known as CNE, detailed the timeline and opened the floor to questions about the new voting process during a press conference in Caracas. The announcement comes after President Nicolas Maduro announced last week that the national Constituent Assembly, a process that will rewrite the Venezuelan Constitution, will be made up of 540 members — 364 regional representatives, 168 sector representatives and eight Indigenous representatives. Trump Could Reverse Obama’s Cuba Policies: Reports. 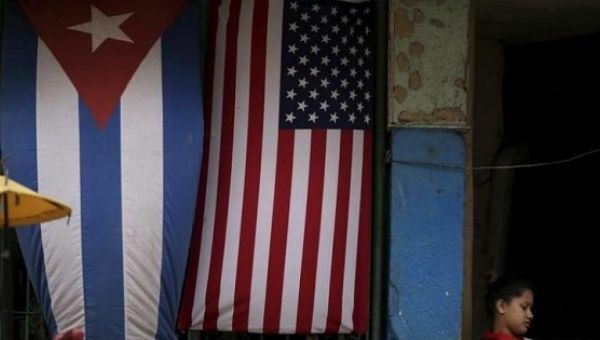 The Trump administration is said to be reviewing progress in normalizing U.S.-Cuba ties achieved by Raul Castro and Obama. U.S. President Donald Trump may be preparing to roll back key policies towards Cuba. His predecessor, Barack Obama, reestablished diplomatic relations with the Caribbean island nation beginning at the end of 2014 after almost six decades of hostility. Japan Ready to Join US Against North Korea. Japanese Prime Minister (PM) Shinzo Abe said his country will join the United States in taking concrete action against North Korea, following their latest ballistic missile test. 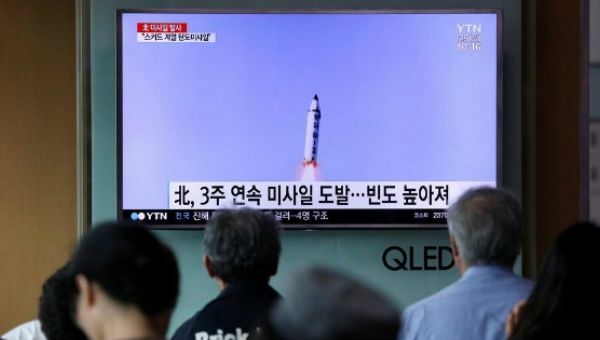 The latest test involved a short-range Scud which flew about 450km before landing in the Sea of Japan (East Sea) between the Korean Peninsula and Japan on Monday, according to the U.S. Pacific Command. This is the third test in as many weeks, and the 12th this year. “We will never tolerate North Korea’s continued provocations that ignore repeated warnings by the international community,” Abe told reporters. 70 Intl. Groups Send Solidarity Message to Bolivarian Venezuela. 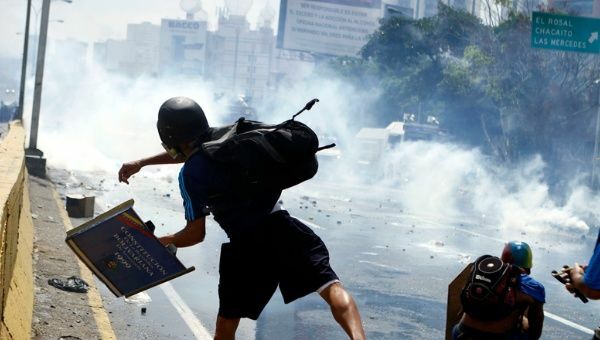 The message declared that the only violations of human rights that have been committed in Venezuela in recent weeks have been perpetrated by the violent opposition.